Executive Mosaic’s GovCon Index closed above the 90-point mark for the first time since its October 2014 inception as Huntington Ingalls Industries (NYSE: HII) and services contractors led gains to offset declines by Northrop Grumman (NYSE: NOC) and other defense primes on a positive day for U.S. stocks. Monday’s strong performance restarts a post-election rally that has put the GCI at a gain of 13.04 percent since Nov. 8 with the S&P 500 composite index up 3.04 percent over that time. 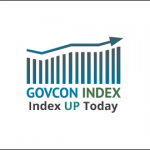 GovCon Index gainers outnumbered laggers by a 2-to-1 ratio and five of its 11 S&P 500 components advanced with Huntington Ingalls Industries (NYSE: HII) the top overall GCI net gainer and co-listed Northrop the lowest performer among all 30 Index stocks. Huntington Ingalls climbed to a 52-week high during the session after analysts at Deutsche Bank lifted their price target from $190 to $198 on the military shipbuilder’s stock after the contractor officially unveiled its new $1 billion government services segment Friday upon the Camber Corp. acquisition closure. Newport News, Virginia-based HII is the military’s largest ship constructor and is pursuing growth in the government services market as a complement to its vessel building work. Deutsche Bank also increased their price target on L-3 Communications (NYSE: LLL) from $160 to $170 and the New York City-based defense contractor closed fourth for net gainers. CACI International (NYSE: CACI) closed second for GCI net gainers, third-ranked and co-listed McKesson Corp. (NYSE: MCK) advanced despite the S&P healthcare index’s slight 0.15-percent decline and ICF (Nasdaq: ICFI) rounded out the top five. Northrop weighed on the GCI with other aerospace and defense primes Raytheon (NYSE: RTN), Lockheed Martin (NYSE: LMT), Rockwell Collins (NYSE: COL) and General Dynamics (NYSE: GD) among the most notable red stocks. U.S. stocks closed higher Monday as investors appeared to ignore Italy Prime Minister Matteo Renzi’s announcement that he would resign after his proposal to reduce the country’s parliament was defeated in a constitutional referendum. Consumer discretionary stocks led seven S&P 500 sectors higher with healthcare the lowest performer out of the four laggards.